The exterior of your home speaks volumes as it attracts the eye before anything else. Not only is your home’s exterior paint job the first impression your guests have of your home, but it also greatly affects your home’s curb appeal and resale value. Your home’s exterior paint job doesn’t just need to be attractive. It also needs to protect your home from the elements. AllPro Painting transforms the appearance of homes in the Las Vegas area while adding protection from harsh weather conditions at the same time. Our objective is to keep your exterior withstand any threats thus leaving its appearance looking like a state of the art paint job for years. 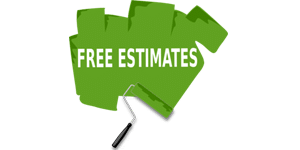 From exterior wall painting to shutters and carpentry repairs, AllPro’s exterior residential painting services will add value and syle to your home.